I felt the urge to visit a large consumer show recently to see how exhibitors were performing and how visitors were being treated. I also resolved to visit the show half way through the event and arrive half an hour after the doors opened for the day. My findings make quite interesting reading. During a twenty minute walk through, from one end of the hall to the other and back, I observed the following behaviours. 27 exhibitors were using their mobiles, 3 using their laptops. 8 were reading newspapers and I saw 4 empty stands, bereft of any live personnel. 12 exhibiting companies were engaged in meetings with colleagues and 3 were still having breakfast and drinking on their stand. One was actively ignoring a member of the public who was seated on the edge of their stand, applying make up and fixing her hair. On the up side, 20 people did make eye-contact with me; I managed to elicit 5 smiles and was engaged once. Potentially I was a prospect for most of the companies exhibiting and on this occasion had a modest budget to waste on some frivolity or two. Considering that these stands represented roughly tem percent of the exhibitors at this event, you can argue that it is not all bad. The old half-full and half-empty syndrome; namely ninety percent of exhibitors were getting it right – or at least not as bad! What frustrates me is the fact that this ten percent did not need to be wasting their money and in fact they will probably cancel next year’s attendance due to ‘poor response’. These same companies also probably had to fight tooth and nail to get a budget in the first place to attend this time. Is this the plight of business these days? Acceptable losses? Surely all the marketing manager or whomever organised the stand had to do was follow a short but effective checklist? Remind the stand staff of their objectives for being there, choose staff wisely, explain their role and provide a modicum of training. Then follow up the leads and convert them into sales. Not rocket science really – just common sense. Therein lies the problem. It sounds so simple. So simple in fact that ten percent of exhibitors overlooked this fact. The show organisers had done their bit – the hard work involved with getting people to the show. The members of the public had also done their bit and purchased entry tickets to be there. What a shame some – ANY of the exhibitors failed to do their bit. The next time you are sat in a board meeting or a marketing meeting discussing the relative merits of whether to participate in an event or not, I do hope you have a clear conscience and can categorically state that the response you had was exactly that – response and not a distillation of that response via your stand personnel? I need to be careful how I introduce this month’s columns in case the casual reader picks up the wrong end of the stick. Over the last few exhibitor seminars that I have run there have been questions of a recurring nature concerning how to get people off your stand! It appears that we spend so much of our effort these days attracting people to come on our stand and enticing them with all manner of goodies that a situation is arising where we are almost becoming victims of our own success. Namely in our attempts to attract people we are encouraging visitors to linger “unduly” for protracted amounts of time on the stand and so effectively tying up resources (stand personnel) that could and should be freed to meet and greet the next new visitor. Now we all know that arranging corporate hospitality on stand can lead to visitors outstaying their welcome, but what if an ordinary visitor decides that he or she has found a soul mate or has a sudden need to disclose their life history? It can be a tricky situation to handle well for the risk of offending is high. Well, the psychology of repelling visitors is similar to that used in attraction. We have long beaten the drum about asking the right sort of open questions and avoiding ones like ‘Can I help you?’ and why this is so important in engaging a visitor. In order to repel visitors, reverse the psychology – namely use closed questions to close the conversation. Once you have established the potential of the visitor and have agreed a next step (appointment, e-mail or further contact), summarise the action and end with a closed question. “Great, so you want me to e-mail our latest brochure and give you a call to make sure we can meet your timescales, is that right?” This should give you a ‘yes’ at which point you can add, “In that case, Mr(s) L’Urquer, thanks very much for your time, enjoy the show and we will be in touch as agreed.” And stand up and shake hands! This is a time when you also need to reverse your body language. Instead of open smiling postures, you now need to steer the visitor towards the aisle and use the hand shake as a gesture of finality, and using your eyes to acknowledge the next prospect, possible vocalising “Be with you in a second!” in their general direction. As to the severity of your subtlety or lack of it, that should be proportional to the ‘thick-skinned quotient’ of your malingerer – the more thick skinned they are, the less subtle you need to be and can get away with. Remember the adage – be gracious with visitors but ruthless with time! Always prepare for every negotiation by completing this checklist. [ ] What do you want to pay? [ ] What concessions could you legitimately ask for? [ ] What concessions are you prepared to trade in return? [ ] What is your ideal settlement? [ ] What is your bottom-line settlement? [ ] What is unacceptable? [ ] What is your best opening/demand? [ ] What are your justifications? [ ] How can you support your strongest demand? [ ] How can you trade/protect your vulnerable areas? Now run through each of the questions above from your suppliers point of view. What objections will you encounter? How will you answer them? Here’s a technique that immediately knocks your supplier off guard by not following a logical sequence of demands i.e. starting with the main demand first. c) While the supplier is wrestling with their response to (a) and (b), hit them with your most important (to you) demand. Or better still, have someone take notes for you. Not only does this help you review the agreement afterwards – it lets your supplier know that you are keeping tabs on the discussion. Every time a concession is made, summarise it. Get the supplier to verbally agree to your summary. This avoids misunderstanding (real or feigned) later. Use with caution. Check out the terms offered by a competitor – what is their best offer to you? Then pitch into the first supplier with a straight demand below the competitors best price) but not unreasonably lower – or they’ll call your bluff). Gently cast doubt on the supplying companies ability. 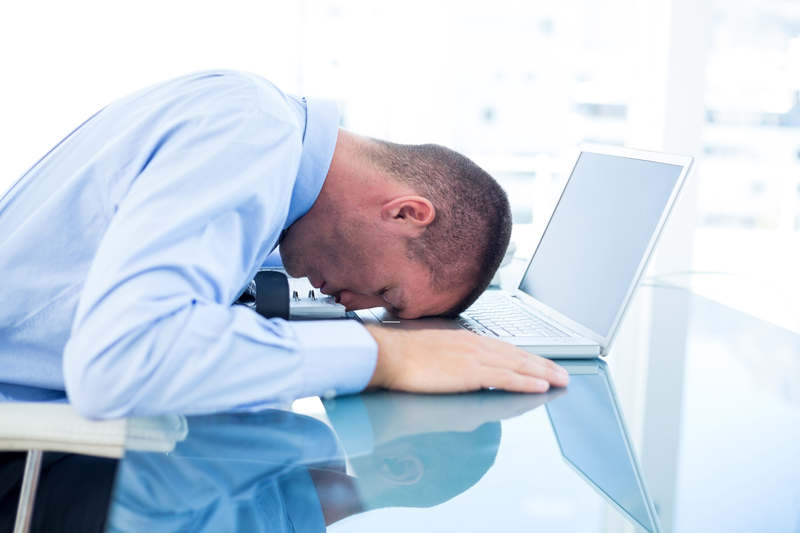 Explore worse-case scenarios with the supplier “What would you do if ………. how can you assure me that ………. how would you cope if ………. what about”. The supplier will fear losing credibility and will be even keener to prove that they can serve you well. If you have a highly respected payment reputation – be sure they know it. If you are a big name – say that you would be happy to give them permission to mention that you are a customer if you clinch the deal. Do you have influence over others to switch supplier or do you have contact that your supplier would dearly love? Offer them as bait. Many sales people don’t get the perks and expense accounts that they used to. Take your supplier by surprise and take them for a meal, introduce them to your staff like a valued client, thank them for their time – be nice to them. Your effort will be repaid by their willingness to concede to demands that they might not have otherwise. reaction immediately. Let the supplier do the chasing. Have their phone call returned with “Mrs Henderson hasn’t had the chance to review your proposal yet – she’s in a meeting ………. please phone back on Tuesday”. Follow this tactic just long enough to make them nervous, but not long enough to make them lose patience. The change in tactic will confuse them. You say “OK. Let’s stop on that price for a moment. Let’s take a look at the actual terms of our agreement (i.e. delivery, packaging, transport, storage, extra stock for reduced price). You will have covered these in your pre-negotiation checklist. You say “Look – give me the terms I’m looking for on this order and I won’t forget it. You can be sure I’ll be placing more business your way in the future”. Considerable money can be saved by estimating requirements over a 1 to 2 year period, even when the initial capital investment, storage and handling costs are taken into account. Save up to 50% in this way. If you order a product or service regularly, ask for a fixed rate set for a year at a time. You should aim to save at least 30% over the standard costs in this way. basic price first. In the case of printing – ask for the print costs in one colour print first. When you have reviewed the price ask them for something extra to secure the job – like 2/4 colour print for the cost of 1 colour, or an extra 5,000 copies, or to print another item 2-up in the same colour at the same time, or a high paper grade or finish. The negotiation has finally come to an end. But don’t shake hands or sign just yet. Ask to “sleep on it” overnight and close the meeting. The next day put the decision off another day. Then get together with the supplier and say something like “look, I’m still nervous about signing over all this money. I need further assurance ………. what about………. (re-introduce a previously rejected demand). Or ask for a further 1-2% discount. The supplier may be so cheesed off to see the hours of negotiating apparently move back to square one, they may well agree! Here’s a tactic you don’t even discuss: whatever their standard trading terms are, put your own on your purchase order or confirmation of order (make sure that you get in last then your terms are the binding ones). These could include 60 or 90 days credit (from the date of delivery, not order). Free packing/delivery, even a further discount for early payment. Pay up when you say you will though, or this tactic will lose effect, and you will lose credibility. Most people find that as part of their jobs they have to tackle ‘one-offs’; a certain task that has to be done within a given timeframe. This task will often be unique, in that there is no precedent for it, and this makes it very difficult to schedule into your day. The difference between this task (or project) and a daily task, is that you cannot draw upon your reserves of experience to determine who needs to be consulted, how much work is really involved, how flexible the deadline is or how to break the task down into manageable chunks! Clearly what is needed is a contingency plan to handle these situations in the most efficient manner. The first thing to do is to identify your objectives and the desired end result. If you do not know where you want to go – then any road will suffice. Ask concrete questions about what the job involves, as this tends to get the objectives more down to earth. If you have been given a deadline you need to know how flexible the deadline really is, and whether there is room for negotiation. Given the nature of your job it is important that the job is broken down into smaller, more manageable parts, which are easier to fit into a normal day. Few of use have the luxury to devote all our time to just one task. A project rarely replaces your daily duties – it is usually additional. If you produce a schedule, you will be able to highlight whether it is possible to complete the task within the given timeframe, without neglecting or severely disrupting your normal duties. Firstly this acts as a spur and secondly it lets everyone else know that you are working to a tight deadline, and co-opts them into not interrupting you. Examine your role in the projects execution very carefully. Do you really need to handle everything yourself? Could you delegate some of it to others? Quite often if you communicate your intentions to your colleagues, you will find that they are able to help contribute towards your goals. A further tip is to list all the information that is needed as soon as possible after you have established your objectives, and to identify the people from whom you might need assistance. In this way, others who need to be involved can be given advance notice and could also save yourself frustration as the deadline approaches. 1. State your objectives and the end result. Without this, planning is impossible. 2. Ask concrete questions about the job as this often makes the objectives seem clearer. 3. Deadlines are sometimes flexible. Test deadlines as this may reveal ways of getting more time on a tight project. 4. Breakdown the work into smaller parts. This makes tasks more manageable and can fit into a normal working day. 5. Scheduling highlights unrealistic deadlines. Once realistic ones are agreed, commit them publicly as a defence against interruptions and as a spur to yourself. 6. List all information needed at the start and from whom. Give others plenty of notice. 7. Communicate your intentions – peers may cover for you, and often help directly with the project. 8. Delegate where possible. Remember you may not have to do everything yourself. During the tail end of last year I attended a conference where a reputable economist addressed the masses. He was speaking about the economic climate and the likely duration and severity of the same. The mood in the room amongst the two hundred or so delegates was palpable. His predictions (and sadly he has proven to be right in the past on numerous issues) was that the downturn was going to be with us for several years – with recovery coming in about 2012. It will be a ‘U’-Shape recession. Don’t shoot the messenger! Like you I do not relish the prospect of several years’ hard graft just to stay in business. I do have to say at times I feel like taking lessons from an ostrich when I listen to the news or switch on the television. But what does it really mean for us and for the event industry? What can we learn from the past and how best to go forward? I have to say that it is really not that complex – or should I say it’s common sense but not always common practice. We do know that in troubled times we need to be face to face with our customers. The need to exhibit is stronger now than in the happier times when we were awash with spare budget. We need to offer value and remain competitive. Discounting is not the way forward nor is cutting the usual suspects of training and marketing budgets. Discounts weaken your offering, undermine your margins and generally are a recipe for disaster. History is littered with facts about recessions and how to best survive them. We know that those who enter a recession maintaining or spending more on their marketing and their staff are those businesses that will come out first and will come out with better market share than they entered. Those who tighten their belts and try to ‘survive’ are worshipping a false god. In any event, if the predictions are right, three years is an awfully long time to maintain a belt tightening regime and hoping things will pick up! Running my own business I realise that there will be tough decisions and economies to be made but it is important to realise that I am not an accountant and do not run my business as an accountant might. In a boom businesses are run by entrepreneurs whereas recessions herald the advent of more accountants and financial directors gaining power in the boardroom. Traditionally it’s the marketing budget that gets slaughtered, together with staff development and training. These have been seen as ‘discretionary’ spend and therefore suitable for cutbacks. All the evidence we have suggests that increasing these budgets are the best thing you can do to weather the storm. If you plan on exhibiting you should still do so. Calculate which events deliver your target audience and focus on them. Make cuts in areas that will not affect your future performance rather than by cutting the event or reducing your presence there. Consider bringing your own furniture for example, or your own floral displays rather than hiring them. Bring one or two less staff to the event perhaps but train up the ones that are attending. Give them the tools and confidence to maximise their meetings. Share a hotel room or use a budget hotel rather than cut their ‘entertainment’ budget. In short keep spending where you know it generates business and cut back where you can safely do so. On a more positive side we also know recessions are good for clearing out our weaker competitors (sadly it can also kill some hitherto sound businesses) and so once things normalise we can look forward to an even bigger slice of the cake as there will be less players in the market. The question is what can you do in the meantime to get through? Sell. Sell. Sell. Sell face to face and sell better and more professionally than your competitors. Be at the events where once there were seventeen competitive stands and now there are only seven. Remember also that visitors to events have to increasingly justify their time away from their office harder than ever and so those who do make it to the aisles are much more likely to be hotter prospects. Do not let them pass you by – engage them and develop relationships. Yes their own budgets may have been trimmed but they in turn will spend something with you and spend more later once their reigns are loosened. Focus on the simple fact that companies will and do spend money even in a recession – what can you do to make sure they spend it with you? 16 NEGOTIATING TACTICS YOUR SUPPLIERS DON’T WANT YOU TO KNOW! Have you ever wondered about what it is exactly, that we refer to when we use the expression “we clicked” or “we were on the same wavelength” or “the chemistry was there”? Sure, we all know what we mean when we say that but what is it that makes us click? Is it a sense of humour, a dress sense, visual identity or is it something more? For many of us Christmas is a time for family and friends. No matter how much we love them, there are always those members with whom a few limited, but annual moments in front of the fire, is quite unbearable. Quite why we torture ourselves and remind ourselves we are doing our ‘duty’ each year escapes me. Well the answer is at hand – not just for abhorrent friends and family but equally useful for deployment with visitors at an exhibition. It goes under the rather grand name of Neurolinguistic Programming – or NLP for short! In order to do the topic justice I would need to write a similar length column for approximately twenty seven and a half years. Indeed a six month ‘practitioners’ course on NLP exists for those who are more deeply interested. Instead, I propose to address the issue in a nouvelle cuisine style (without the extortionate price tag). At the epicentre of NLP is the proposition that we all communicate and learn in channels – three of them to be precise. In turn these are Audio, Video and Tactile (or Kinaesthetic to give its full name). We identify the channels people use by the words they use. Simply put, Audio people communicate by saying things like; “Can you hear what I mean?” and “How does that sound to you?” The emphasis is on audio expressions. Video people conversely rely on hearing, so they might say things like; “How does that look to you?” or “Can you see what I’m saying?” Finally the Tactile or Kinaesthetics amongst us would be more physical in their descriptors, adding comments like; “How does that grab you?” and “I can’t quite get my head around that”. We also learn best using these same channels. For example an Audio individual would retain and absorb information better if it were presented in an audio fashion, such as listening to a speech or learning through a pre-recorded CD. It follows that Video people will not be so impressed or enlightened using the same means. In their case they need to watch a demonstration or see a film. Finally the Tactile folk would need to play with the apparatus and feel for themselves in order to best absorb the finer intricacies of your product. In a nutshell, that’s very much it. All you have to do now is respond to them using the same channel. Suppose someone used the phrase “Can you see why I’m upset?” and your response was say Audio, such as “Yes I can hear what you’re saying.” the appellant would not believe you or feel at all connected. You do not have to be a mimic and respond parrot fashion, “Yes, yes! I can see what you mean!” rather use the same channel and remark, “Yes. Looking at it from your point of view, I can see that.” Suddenly you will appear to have clicked! Likewise you are best to remember that the typical visitor to an event will be made up from one of the three channels so think about how best to convey your message on your stand. Too many graphics and they are lost on Tactiles and Audios. Too much talking and you lose the Tactiles and Video visitors. Ideally have a mix so visitors can touch, feel and hear your presence at your next event. Happy clicking!